More than 300 days of sunshine a year grace the skies over Scottsdale, Arizona—and groups take full advantage of them at The Westin Kierland Resort & Spa. The resort offers over 200,000 square feet of indoor and outdoor function space in a 730-acre master-planned enclave, surrounded by 27 holes of golf and an upscale shopping and restaurant district. The resort recently debuted its guest room enhancements and Northern Sky Terrace, a tranquil setting for outdoor affairs focused on views of the McDowell Mountains and the Kierland Golf Course lake. The resort topped off its renewal with an 11,300-square-foot ballroom. Dedicated conference professionals, including on-site audiovisual and executive meeting specialists, oversee every event. Crystal-clear acoustics enhance presentations in the Kierland Grand Ballroom, where lighting treatments create the illusion of clouds suspended in air. In the great outdoors, the Marshall’s Outpost Lawn and the 4,000-square-foot Pavilion host themed events such as cowboy cookouts. Another 42,000-square-foot lawn easily accommodates tented functions. Downtime finds many guests relaxing at the 9,000-square-foot water park, with the Kierland Flowrider, lazy river ride, and waterslide. Others gravitate to Agave, The Arizona Spa, where 20 treatment rooms and some 250 appointments each day make accommodating group spa sessions trouble-free. Equally easy for groups: three nine-hole, Scott Miller–designed golf courses, where 216 players can participate at one time in group tournaments. Other highlights include dining at ten on-site venues—among them, Deseo, showcasing the cuisine of James Beard Award–winner Chef Douglas Rodriquez. A beautiful property with accommodating staff and excellent food & beverage (and really great meeting space as well). The staff is quite visible and always seemed to be around when guests needed assistance. The f&b team was creative and came up with superb options when I needed customization for some food functions. The property was beautiful, but lacked customer service from start to finish on my site visit. Be sure to schedule enough "free time" for your attendees so they can enjoy all the onsite amenities. GREAT summertime value-highly recommend! Good people with great hospitality skills set events up for success from the very beginning. 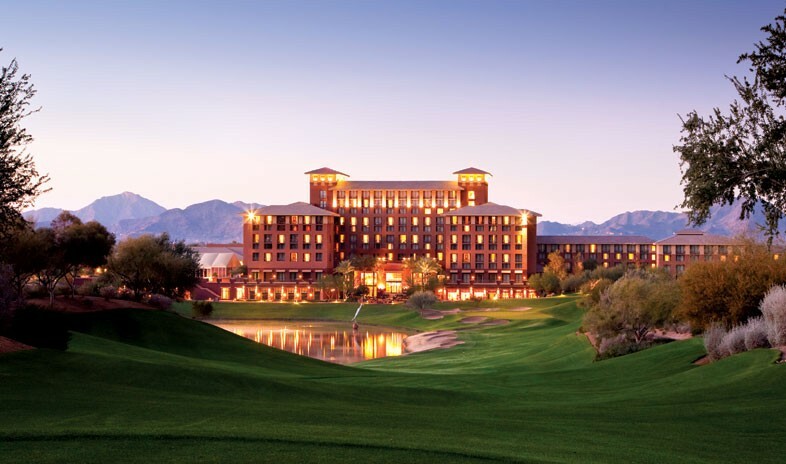 We highly recommend The Westin Kierland for uncompromising customer service and inventive experiences. Property and location are fabulous. On site golf and spa. Nearby shopping and dinning locations. Hotel provides shuttle service. On site event options can be combined with offsite event venues to meet F&B requirements. Be sure to ask. They don`t tell you. I have had two groups there and would take another. One of the highlights is the bagpiper every evening. No clubs on property because of close proximity to offsite properties. Bagpipe player in the evening was a big hit with my group. I held a 5 day 250 person meeting at this property in 2006. The property is gorgeous, provides stellar service and there are many on-site and off-site dining and recreation options available. Even in the warmer months, it's a pleasure to sit outside by their many pools or fireside on the cooler nights. A personal visit is the only thing that will do this property justice.